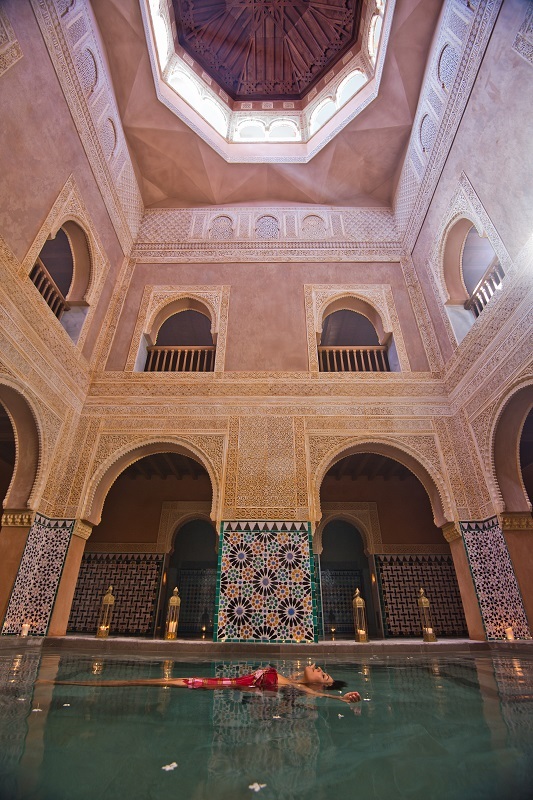 The Hammam Al-Ándalus Malaga is an experience you can’t miss if you are in the city! The Hammam Al-Ándalus Malaga is an ancient monumental space converted into one of the most attractive Arab Baths of Andalucia. It is the most recent among those belonging to the Hammam Al-Ándalus company, since its inauguration happened in May 2013. This one, together with the Hammams located in Cordoba, Granada, and Madrid, received the Premio Andalucía del Turismo 2014 (2014 Andalusian Award of Tourism). The Arab Baths tradition goes back to the Moorish times when everyone went and enjoyed a relaxing time surrounded by peace and quietness. The Hammam Al-Ándalus Malaga is where you can enjoy a five-sense experience. The magnificent Nazari architecture with a 15-metre-high dome lets the suffused light flood naturally so that your eyes will be left resting for the whole experience. You will be immersed in the Andalusí culture thanks to the soft music that spreads into every corner and the flavour of the traditional Andalusí tea. You will have the possibility to enjoy relaxing massages as well, while the delicious smell of jasmines, Malaga’s traditional flower, deluges the Hammam. This Arab Bath was built following the principles of geothermic. Since this is the first time this program was carried along for a Spanish private building, Finnish technicians helped with the realisation, providing the Hammam Al-Ándalus Malaga with the surprising characteristic of employing 100% clean energy. This process allows the water to be pushed up to a 135-m depth so that both the water and the Hammam reach the ideal temperature with no adverse impact on the environment. In the Hammam, you will be treated like a king. You will have the possibility to enjoy a 90-minute itinerary in five different temperature baths, alongside steam, resting and massage halls. Every one of them will offer you an unmissable experience. Where is the Hammam Al-Ándalus Malaga? You can find the Hammam Al-Ándalus of Malaga in the historic centre of the city, between the Alcazaba, the Theatre Cervantes and the Tribuna de Los Pobres. The exact address is Plaza de Los Mártires, 5. When does the Hammam Al-Ándalus Malaga open? You can access to the Hammam of Malaga every two hours, from 10 am to 10 pm, from Monday to Sunday. A special promo code just for you! Emerge: you can enjoy the hot, warm and cold baths of Hammam Al-Ándalus Malaga and relax in the rest room as you wish for 90 minutes. Mimma 15: receive a massage on the legs, back or both with essential oils and relax as never before. Mimma 30: an additional 15-minute massage if you need an extra treat. Midra 30: a scrub on a hot stone table will leave your muscles completely relaxed. Midra 45: the Kessa bath with an essential-oil relaxing massage. Why don’t relax after relaxing? Choose one of the best holiday homes in the surroundings of Malaga, and keep enjoying your holidays in southern Spain as you deserve. Don’t miss the opportunity to delight yourself with a fantastic experience in Hammam Al-Ándalus Malaga! 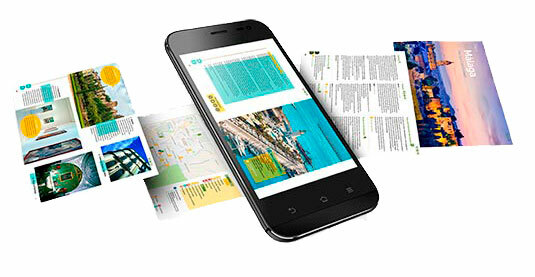 Have you already enjoyed your exclusive promo code? 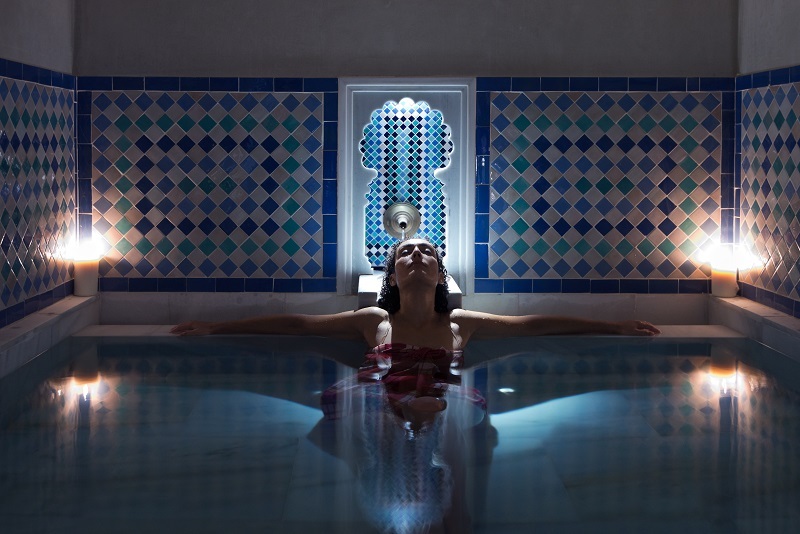 What do you think the most mesmerising feature of the Hammam Al-Ándalus Malaga is? Tell us in the comments.